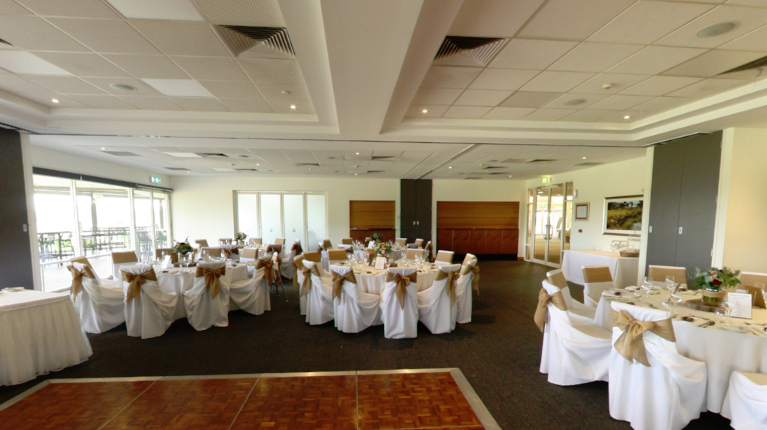 As one of the leading function venues in South Australia, the Glenelg Golf Club offers a classy venue that is full of style and elegance. The spectacular, picturesque surrounds include the rolling green fairways right up to the Adelaide foothills, and provide a stunning backdrop for picture opportunities. At the Glenelg Golf Club you will find first rate facilities, experienced and dedicated staff, and restaurant quality catering. It is an award winning wedding reception venue, and there are a range of packages and options to suit.